Accredited by the globally recognized Association of MBAs (AMBA), our MBA will give you the understanding, knowledge and confidence to challenge conventional thinking and stand out in today’s fast-moving business world. Please note the Part-time MBA programme is not running in 2019/20. The Southampton Part-time MBA focuses on leading people and organisations to face the critical challenges of sustainability, innovation and change in today’s highly volatile and uncertain environment. 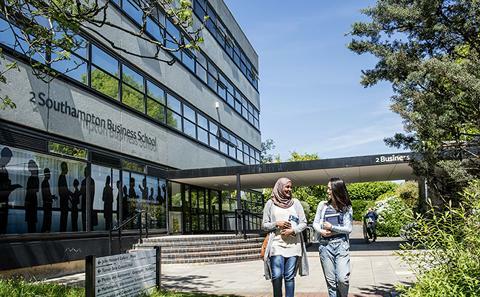 Taught by world-class academics, the Southampton MBA delivers cutting-edge thinking and requires you to apply it to real business problems through a combination of business research, ‘live’ client consultancy, company visits, international study trips and regular exposure to senior business leaders. The Part-time MBA is designed for graduates with at least five years’ work experience in a role that involves supervising or managing others, structuring information to support commercial decisions and analysing data in complex and dynamic environments. By developing your analytical, strategic and leadership skills across all business disciplines, you will gain a more holistic view of management and leadership, which will propel your career to new heights. The Part-time Southampton MBA is designed for learners in full-time employment and delivered over two and half years (30 months), with two years (24 months) for the taught modules and 6 months for the Business Project. The Part-time MBA is a 30-month programme, with classes taught over two-day blocks on Fridays and Saturdays, which takes place 12 times a year for two years. It is designed for graduates with at least five years’ work experience in a role that involves supervising or managing others, structuring information to support commercial decisions and analysing data in complex and dynamic environments. The Southampton MBA has three distinct stages, enabling you to develop your business mastery over the course of the programme. In Stage 1, Mastering Fundamentals, you will learn to master fundamental business and management skills, ranging from people management, accounting, marketing, operations and corporate finance to understanding the global business environment. In Stage 2, Mastering Complexity, you will build on the learning in Stage 1 and learn more complex skills in strategy and decision-making, business analytics and risk, leadership, sustainability, innovation and change. In Stage 2 you will also choose your optional modules (see table above). In Stage 3, Mastering Business, you can integrate all the skills you have learned in application to a business problem that you wish to work on in a sector and organisation of your choice. On the Southampton MBA you have a choice of either the Generalist Pathway or two Specialist Pathways, namely the Entrepreneurship Pathway and the Maritime Pathway. Each pathway contains the same nine core modules from stages 1, 2 and 3 of the programme. You will therefore cover the main areas of business and management, including people management, accounting, marketing, operations, corporate finance, global business environment, strategy and decision-making, business analytics and risk, leadership, sustainability, innovation and change; as well as doing TWO optional modules in your chosen Pathway. For the Generalist Pathway, you can choose two optional modules from a selection of five modules available; and you can do the Business Project in any subject area. For the Entrepreneurship Pathway, you will take Entrepreneurship and New Venture Creation and Business Planning; and you must do the Business Project in an entrepreneurship subject. For the Maritime Pathway, you will take Maritime Operations and Risk and Maritime Law; and you must do the Business Project in a maritime subject. See the Learning & Assessment tab to learn more about the Entrepreneurship and Maritime Pathways. You’ll learn from inspiring academics who incorporate the latest research findings into their teaching. 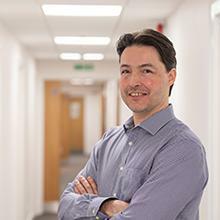 Dr Nuno Da Camara is MBA Director and Principal Teaching Fellow in HR and Organisational Behaviour within Southampton Business School at the University of Southampton. All applications are assessed on individual merit but the typical academic entry requirement for the MBA is a UK honours degree with at least a Second Class classification or an equivalent non-UK qualification. If you have qualifications other than a degree, with relevant professional experience and evidence of ability, you will also be considered. Part-time applicants must also have a minimum of five years of professional work experience. Work experience must be relevant to a management, business or professional function and include suitable levels of analytical work and show evidence of career progression and supervision/management of other people. Examples of suitable roles are business manager, project manager, business analyst, professional engineer, accountant, head of function/department, or CEO/business owner. Evidence of international working, cross-cultural teams and stakeholder management is highly desirable. If English is not your first language, you will need to demonstrate that you have reached a satisfactory standard in an approved English language test. The following scores are accepted for direct entry: IELTS 6.5 overall with 6.5 in reading and writing, 6.0 in listening and speaking. If you hold a non-IELTS language qualification then please see our full list of accepted qualifications. If you do not quite meet our English language requirements for direct entry, you may be eligible to apply for one of our pre-sessional English language courses. Visit our International Office website or the NARIC website for further information on qualifications. The age of participants typically ranges from 28 to 45 and their first degree subjects include science, engineering and humanities as well as business studies. The Part-time MBA is designed for graduates with managerial experience and who now wish to pursue a challenging programme of study to develop their leadership potential. Your application to study the Part-time MBA course will be carefully considered by the MBA Director who will weigh up many factors; not only your academic achievements, interests and aptitudes, but also your motivation and your referee's confidential report. In addition, applicants will be interviewed by the MBA Director either in person or by telephone (or Skype). To to study this pathway you need to choose MANG6368 Entrepreneurship & New Venture Design and MANG6369 Business Planning. To study this pathway you need to choose MANG6371 Maritime Law and MANG6370 Maritime Operations & Risk. *The tuition fees quoted are the fees you pay for each year of study. Part time PGT courses are usually charged for 2 years making the cost of the course the same as the full time version. Any exceptions will be clearly shown on the course page. If you repeat a period of study you will be charged additional tuition fees. The Southampton MBA has generous scholarships up to £6,000 available for our Part-time MBA programme. Applicants who receive an offer will automatically be considered for the Business Excellence Scholarships. There is no need to complete a separate application. The scholarship award is made at the discretion of the Business School. The deadline to submit your application is 30 June for September entry. For University of Southampton alumni, a further 10% discount will be made to tuition fees after all applicable scholarships are applied.This discount does not apply to fees paid by employers or via the UK Apprenticeships scheme. The Part-time MBA attracts managers from across central southern England. They come from public and private sector organisations, including the IT, financial, shipping, manufacturing, health and service sectors. Working closely with a highly diverse, professional cohort will enrich your experience further and give you a valuable insight into different business cultures. Whether you wish to improve your promotion prospects, bring new skills to your current role or demonstrate that you are ready to take on a higher level of responsibility, the Southampton MBA will help you to achieve your ambitions. You’ll graduate with a wide range of business skills, the confidence to tackle problems and lead organisational change, and experience of working in an international, cross-cultural team. Our students come from a variety of professional backgrounds and many return to their sector with a view to taking on roles with greater managerial, strategic or leadership responsibilities. In addition, you are able to tap into events organised by the Business School’s Executive Learning Partnership, which includes companies such as J.P. Morgan, Ordnance Survey and the Royal National Lifeboat Institution (RNLI). You can also attend industry presentations and seminars hosted by the Business School. Past speakers have come from Veolia, British Airways and Cap Gemini. To help you plan your next career steps, the Southampton MBA includes a Leadership Development Programme (LDP). As well as one-to-one sessions with your independent coach, the LPD includes a series of workshops tailored for MBA students and delivered by the University’s Careers and Employability Service. You’ll also have access to worldwide MBA-level employment opportunities and recruiter fairs. Every year we host a series of guest speakers from a range of industries to talk about employment-related topics. Year 3 (No classes) Business Project undertaken with an individual supervisor. Our lecturers use a range of active teaching and learning methods designed to develop your skills and knowledge. Small groups and a round-table classroom layout encourage discussion and interaction and develop your teamwork skills. Through case studies, simulation exercises and games you’ll learn how to apply your knowledge to real-world settings. Assessment methods vary for different modules, but will include group and individual projects as well as reflective assignments that encourage you to examine your own learning processes. You will also be asked to present a group assignment to senior business leaders to hone your communication and presentation skills. Our academics are active researchers and work closely with industry so you’ll hear about the latest thinking and organisational practice in their areas of expertise. The degree is academically rigorous but we offer a very supportive learning environment. If you need additional support or advice you’ll be able to approach your personal academic tutor, members of the dedicated MBA staff team or your coach. During your time on the MBA course you’ll become a member of the Association of MBAs and the Chartered Management Institute, giving you access to a range of career and e-learning resources and online tools. What does this degree offer? This new MBA pathway in entrepreneurship is taught by world-class academics in entrepreneurship and innovation. The degree allows you to obtain a traditional MBA qualification, comprised of core modules in people management, finance, operations, marketing, global business, strategy, business analytics and change management, while also focusing on new venture creation and business planning for start-ups through your optional modules and business project. This means students can develop a business plan for a new business and undertake market research to support the new business while during their MBA degree. Why should you choose Southampton? Southampton is well-known as a University with great success in developing knowledge-based businesses, many of which are supported through their early-stages by our Science Park. Our Business School also teaches a wide range of entrepreneurship and innovation courses and is involved in many student-led entrepreneurship initiatives on campus. What experience and qualifications do you need? You must have at least three years of full-time professional work experience (full-time MBA) and a minimum of five years full-time professional work experience (part-time MBA) in order to apply to the programme, as well as a degree or professional qualification. You do not need to have previous academic knowledge in entrepreneurial subjects (i.e. innovation, entrepreneurship, new venture creation) as these modules are designed to be taught to aspiring entrepreneurs. The degree is particularly well suited to people who are looking to develop their own business, while also gaining valuable management knowledge and skills. The degree may also be of interest to people who wish to focus on new product development and entrepreneurship management within established organisations. This new MBA pathway is taught by world-class academics in management and maritime subjects. The degree allows you to obtain a traditional MBA qualification, comprised of core modules in people management, finance, operations, marketing, global business, strategy, business analytics, innovation and change management, while also focusing on maritime operations and risk and maritime law through your optional modules and business project. This means that students can gain specialist maritime knowledge and use it to research and solve complex business management problems in the maritime sector. Southampton is a world-renowned centre for outstanding research in maritime engineering, science, and law, as represented by the Southampton Marine and Maritime Institute (SMMI) and the Institute of Maritime Law (IML). Our Business School is an expert in supply chain and logistics management for maritime industries. You must have at least three years of full-time professional work experience (full-time MBA) and a minimum of five years full-time professional work experience (part-time MBA) in order to apply to the programme, as well as a degree or professional qualification. You do not need to have previous academic knowledge in maritime subjects (i.e. maritime law, maritime operations and risk) as these modules are designed to be taught to aspiring managers in the field. The degree is particularly well suited to people looking to gain specialist knowledge in maritime industries, while also learning about business management. This may fit well with sea-based professionals who are looking to transfer to shore-based roles that require management expertise. The degree may also be of interest to maritime industry consultants or people who are looking to transfer into the maritime sector from other industries. To help you plan your next career steps, the Southampton MBA includes a non-credit bearing Leadership Development (LDP) programme. The LDP includes a series of workshops tailored for MBA students around leadership and management skills, which are often termed ‘soft skills’. The LDP is designed to connect with your key learning experiences on the programme. For example, the People and Organisations module has a personality assessment, an off-campus team-building day and a culture simulation day. While the Leading Sustainability, Innovation and Change module includes a ‘live’ international consulting project. These modules have reflective assignments, which are informed by the LDP and give you the chance to identify your strengths and development needs in a structured approach. Throughout the programme, you will receive support from your coach on your learning objectives and career development plan. See Career Opportunities tab for more information. You will also attend workshops run by the University Careers and Employability Service for MBA students and have access to employer recruitment fairs on campus. · The Global Business Environment module includes a residential course in Europe where you will visit businesses and government organisations that are working in a global context. · In the Leading Sustainability, Innovation and Change module you will have the opportunity to apply your knowledge in a ‘live’ international consulting project with a real company in South America. · In the final ‘capstone’ Business Project you will undertake individual research on an organisation or sector of your own choice.